More than 90% of incidents involving poison occur in residences, and most involve children. Basic everyday items, such as laundry detergent, hand sanitizer, and even vitamins, are three of the most common sources of poisoning. This March, join those trying to increase the level of education of potential household risks by recognizing Poison Prevention Awareness Month, and help keep those closest to you safe. Today there are 55 centers operating in the U.S. Poison control centers received more than 3.4 million calls, or one call every 8 seconds. President John F. Kennedy proclaimed the third week of March as National Poison Prevention Week. The American Association of Poison Control Centers was founded to promote cooperation between poison centers in different cities and to standardize the operation of these centers. Children are curious by nature. Protect them from their own lack of inhibitions and never leave medications, pesticides and other household chemical products where young ones can gain access to them. Access to information has never been easier than it is today. Know which potentially harmful materials you may have in your household, and take the necessary steps to prevent accidents. Post the nationwide poison control center phone number, 1-800-222-1222, on or near every telephone in your home and program it into your cell phone. 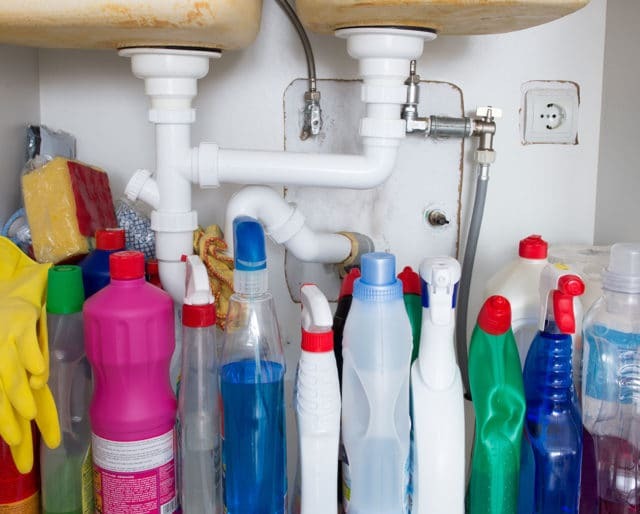 Children under the age of 6 account for over 50% of household poisonings. Make the effort to raise awareness and reduce this statistic significantly. Most of the steps for poison prevention are both fast and easy. Take the time to appropriately store medicine and potentially harmful chemicals away from children, and enjoy the knowledge that your family is safer due to your efforts. View this March as an opportunity to teach your children, and increase their knowledge in the difference between the proper uses for items and the potential harms they possess. Give your children the power of education.